On Tuesday gold futures managed to consolidate recent gains despite a strong dollar and a sharp drop in the price of crude oil. In late afternoon trade on the Comex division of the New York Mercantile Exchange gold for December delivery was changing hands for $1,232.70 an ounce, as it continues to recover from nine-month lows sub-$1,200 hit earlier in the month. Despite the strong bounce of the bottom, sentiment on the precious metals markets remains negative with both large investors and retail buyers using the 3.3% rally as an opportunity to exit the market. 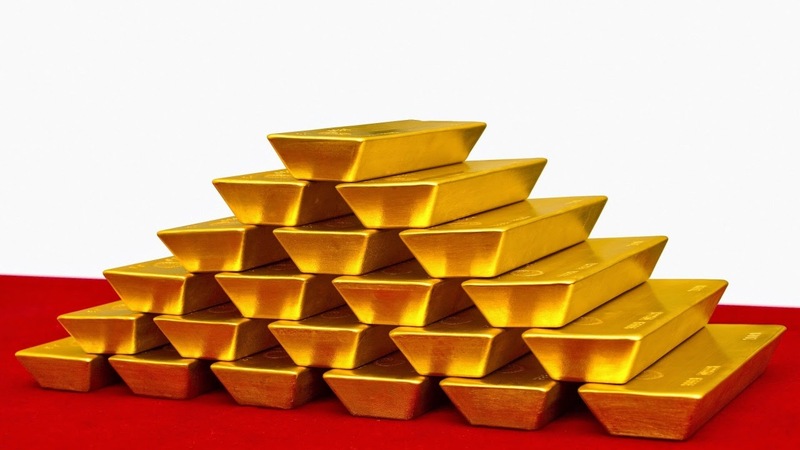 The third quarter was the sixth quarter in a row holdings in global exchange traded funds backed by physical gold were reduced and September was the worst month for ETF funds since December 2013. The selling continued into October. Last week 16.2 tonnes flowed from gold-backed funds, dropping total holdings to 1,662.3 tonnes, following a 10 tonne reduction in the week to October 3. Overall gold bullion holdings are now at five year lows and a whopping 970 tonnes below the record 2,632 tonnes or 93 million ounces reached in December 2012. Retail investors in silver continued to pump money into silver-backed ETFs at the start of October pushing holdings to a record 20,182 tonnes, but silver's good week bouncing of four-year lows convinced some to reduce exposure to the metal. Last week silver funds lost just under 205 tonnes, the worst performance since May 2013 and dropping total holdings to 20,136 tonnes. Like ETF investors, speculators in gold and silver futures and options turned more bearish last week. It was the eight week in a row hedge funds reduced their bullish positioning and is now at the lowest point this year. On a net basis hedge funds hold 37,275 gold lots or 3.7 million ounces, a more than 10 million ounces cut from the the year high of 144,272 lots. Silver price speculators moved further into a net short position, marking a dramatic reversal in sentiment towards silver by large investors or so-called managed money, falling to a 7,071 net short position from record longs of 46,795 or 240 million ounces only a three months ago.